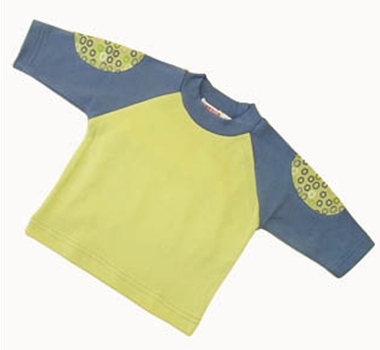 Featuring a playful, post-modern Japanese print, the Organic Cotton Japonesk Tunic T-Shirt by Sckoon is perfect for fashionable babies and toddlers who want to keep cozy too! This product is 100% certified organic cotton by international certification agencies and manufactured in fair-trade factories. This shirt is available in two sizes for children 3-6 months and children 6-12 months. Made to match with Japonesk Pants and Japonesk Baby Towel, this tee will create a unique, eco-friendly look for your child constructed from the highest quality organic cotton. The organic cotton is so soft, little ones won’t want to take them off!